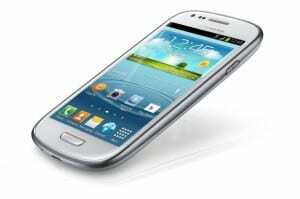 When Galaxy S3 Mini was launched, there was some attention focusing on it in the following few days. After that there wasn’t so much about it, especially because it is rather a more mid-range Samsung Smartphone. Recently, the Galaxy S3 little brother passed the FCC test, which means it is ready and safe to be used in the US. So if you would like to try a smaller version of the S3, you’re free to do it now. In the FCC ruling it was also stated that the phone won’t come with 4G LTE connectivity. We can think that Samsung didn’t conceive this phone for the US market because they stated they wanted to come up with a 4 inch phone especially for the European market. Even so, passing the FCC test means the Galaxy S3 Mini can come to the US anytime. The Galaxy S3 Mini is nowhere as strong as its bigger copy, it has a 4 inch screen, 1 GHz dual-core processor, 5 MP camera and 8GB/16GB internal memory.